Loot boxes are yet to have any noticeable impact on game sales. Despite controversy surrounding microtransactions across the industry, games appear to sell no differently, whether or not they contain extra forms of monetisation. 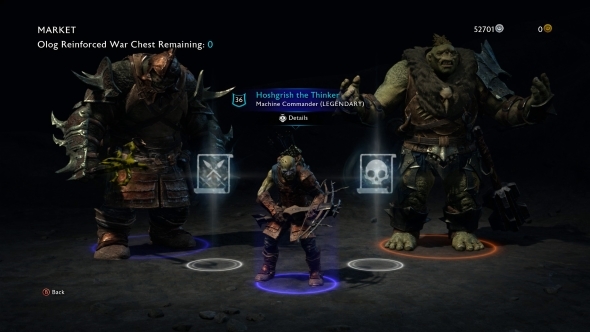 You don’t need to buy loot chests to enjoy Shadow of War’s endgame. According to Gamesindustry, Mat Piscatella, an analyst from market research firm NPD, says the AAA industry has not been affected by the apparent unpopularity of microtransactions. Destiny 2, which has expanded on the microtransactions of the original game, is the best-selling game of 2017, less than two months after release. That’s before PC figures, which are also likely to be significant, have been considered. Other popular games this year include FIFA 18, which has a market of more than $800 million for its Ultimate Team microtransaction model. Tom Clancy’s Rainbow Six Siege is also selling well, despite multiple cosmetic microtransaction options. It’s yet to be seen how the issues surrounding Middle-earth: Shadow of War will impact that analysis however. Despite the fact that you don’t need to use its microtransactions, news of their very existence has proved extremely unpopular.